11:45 am EST: XLE has formed a positive divergence (+DIV) on the daily RSI and STO with respect to a small bull flag drop in closing price over the past week. The bull flag measures to about 71.50, which is near the 50-day SMA (72.36). This entry was posted on February 22, 2018 at 11:43 am	and is filed under XLE. 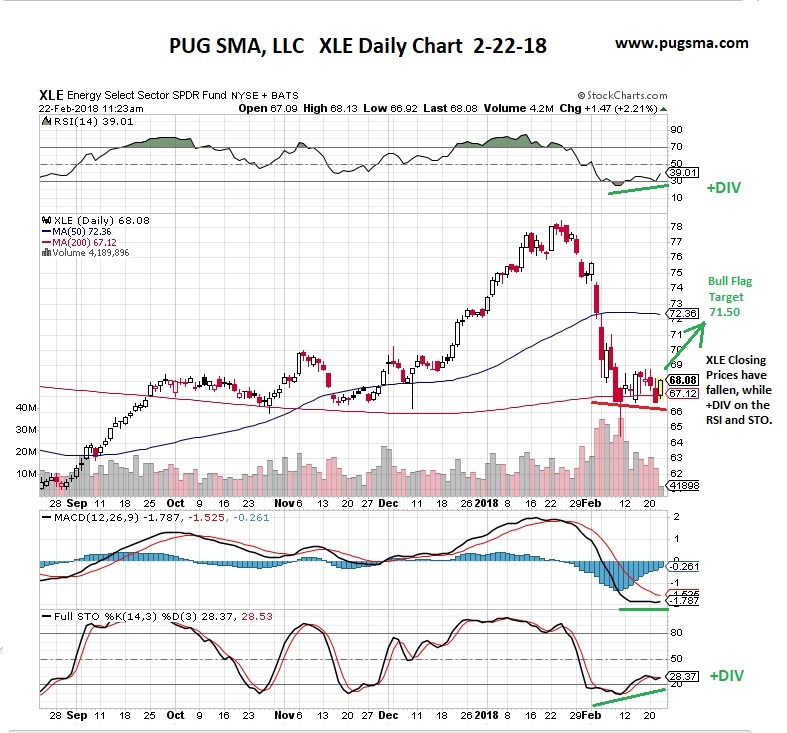 Tagged: XLE Technical Analysis. You can follow any responses to this entry through the RSS 2.0 feed. You can leave a response, or trackback from your own site. Both. For daily charts, I like to use closing prices.